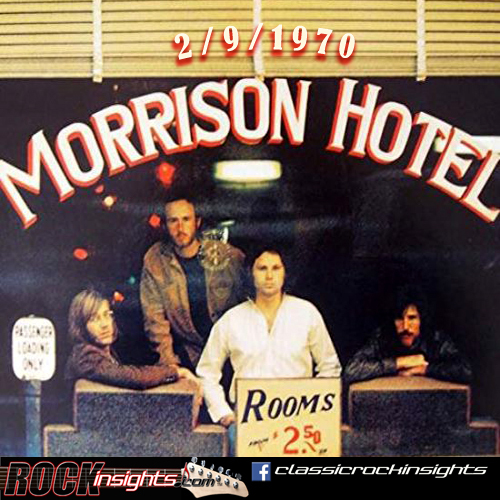 The Doors 5th studio album dropped on this day in 1970, A top 5 album, Morrison Hotel found the band getting back to basics after venturing in a different musical direction in The Soft Parade failed to impress many early and core fans of the group. On this night in 1964, a record shattering 73 million viewers tuned in to the Ed Sullivan Show to see and hear the Beatles battle it out with an audience filled predominantly with screaming teenage girls. Rock pioneer Bill Haley died on 2/9/1981. A former Beatle and Rolling Stones member's solo albums came out on this day in '93 when Paul McCartney released Off The Ground and Mick Jagger put out Wandering Spirit. Soundgarden did its last concert before breaking up on this night in 1997.